 KNOXVILLE, TN — (March 26, 2019) – Big Brothers Big Sisters of East Tennessee will hold its first Career Day event on Thursday, March 28. Mentees, most of whom are first-generation college students, will receive recruitment materials from area universities. Youth in attendance will also meet a number of professionals and community leaders as part of a career day panel. Panelists include a commercial pilot and former Little Brother; the COO of a SH Data Technologies; a business specialist from ORNL; and a crime scene technician. After the panel, mentees—known as “Littles”—will have the opportunity to network with area business leaders. Big Brothers Big Sisters of East Tennessee defends potential in children through strong and enduring, professionally supported one‐to‐one relationships that change lives for the better, forever. Children enrolled in the program achieve measurable outcomes, including educational success, avoidance of risky behaviors, higher aspirations, greater confidence, and better relationships. This mission has been the cornerstone of the organization’s 47-year history in the Knoxville area. Learn more at tennesseebig.org. Knoxville, TN. (June 24th, 2016) – The Big Heights Rooftop Crawl, presented by Axle Logistics, Shafer Insurance and Pilot Flying J, will take place Thursday, August 18th in Downtown Market Square. The decade-themed event will be the first of its kind in Knoxville and will benefit Big Brothers Big Sisters of East TN (BBBS). During the Big Heights Rooftop Crawl, participants will celebrate and raise awareness for BBBS’ new Mentor 2.0 Program, a technology enriched, one-to-one mentoring program that focuses on college readiness and success for high school students. BBBS will launch the Mentor 2.0 program this Fall at South-Doyle High School, where students will be encouraged to reach for BIG HEIGHTS. All funds raised through the Big Heights Rooftop Crawl will directly benefit the Mentor 2.0 program. During the event, participants will crawl the rooftops of Market Square and enjoy food, drinks, music, and decade-themed fun as they travel from the 70s to the 90s. The participating rooftops include: Scruffy City Hall, Oodles Uncorked, and Cafe 4. Tickets are $45, must be purchased prior to the event, and include: food, drink tickets (one per rooftop party), decade-themed entertainment, and access for one to each of our three rooftops. Free parking is available in the Market Street Parking Garage. 7:00pm-10:00pm: Rooftop Crawl- Rooftops are open, with each providing food, one included drink, music and decade-themed activities and fun for all attendees. Please visit www.TennesseeBig.org/BigHeights for more information and to purchase tickets. All event participants must be 21 years of age & older. If attending in a group, participants must register together. With any additional ticketing questions, please contact Alli Damas at adamas@tennesseebig.org with any ticketing questions. Big Brothers Big Sisters of East Tennessee (Tennesseebig.org) provide children facing adversity with strong and enduring, professionally supported one‐to‐one relationships that change their lives for the better, forever. Through these relationships, children achieve success throughout their lives. Big Brothers Big Sisters of East Tennessee served more than 900 children in 2015. Through one-to-one mentoring relationships, these children make better decisions about their lives, have a better attitude about school and choose to avoid risky behaviors.